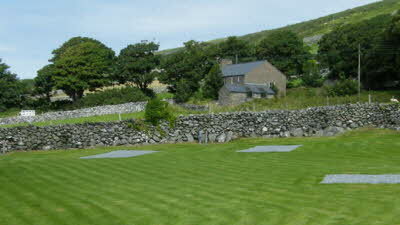 My CL is a quiet site, set on a small working farm situated 2 miles north of Barmouth. 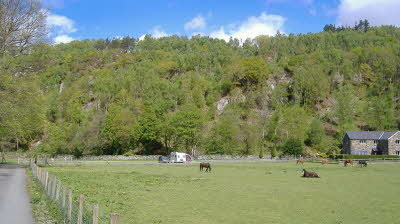 The site is lawned with hardstanding, gently sloping pitches with electric hook-up/water and room for awnings. Bus and train stops are within 400 yards. 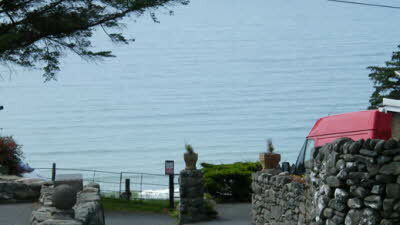 Nearest public house/restaurant 400 yards and another within easy walking distance. Dog walk available on adjacent field. 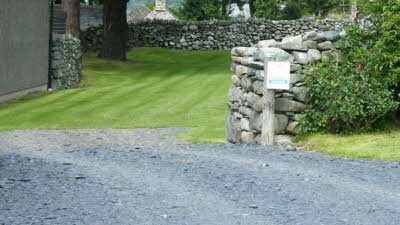 Access to excellent hill walking with spectacular views through farm land. Barmouth and its beaches are ideal for families. Harlech Castle is approximately 8 miles from the site. 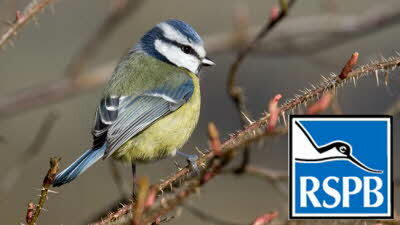 Royal St David Golf Club is approx 8 miles from the site. 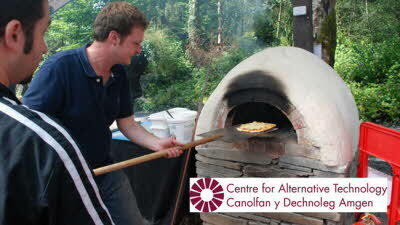 In the foothills of Snowdonia, the Centre for Alternative Technology (CAT) is a world-renowned eco centre that researches and supports greener ways of living. 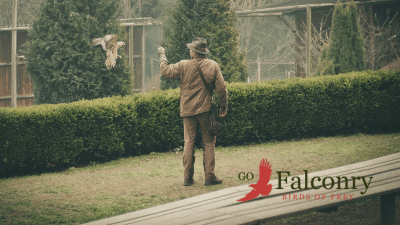 With seven acres of hands-on displays, examples of environmentally responsible building, renewable energy, organic gardens and kids' holiday activities, there is something for everyone at CAT. 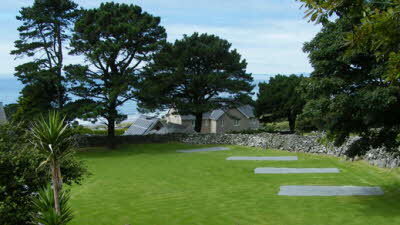 Ynys-hir mixes Welsh oak woodland with wet grassland and saltmarshes. No-one could complain about this CL, Mr Williams clearly works hard to keep it nice, but, I would like to make a constructive criticism. The hosepipe at the chemical disposal point is not long enough to allow users to swill down around the top of pot. Everyone who uses these facilities is aware that in the interest of hygiene it is necessary to ensure that all the area is swilled down after emptying the cassette, but here with such a short hose this is just not possible. this apart I would not hesitate to visit The Orchard again. 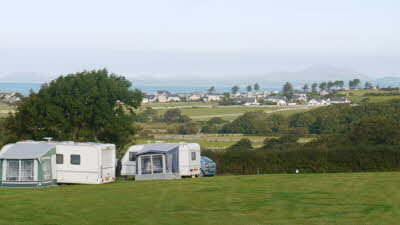 A very pretty site with a frontal sea view and lovely hills behind. The owner was very friendly and always available for a chat and advice. A very clean toilet block which also included a shower costing 20p for 5 minutes which was excellent. All the shops you need are a 5 minute drive in Barmouth and there is a recently opened restaurant just 10 minutes’ walk. All in all a very pleasant experience and will certainly be returning. A great CL about two miles north of Barmouth. Situated on the east side of the road Between Barmouth to Tal-Y-Bont. The gate and driveway is a little tight and steep but no problem. The sign at the gate is for Hendre Clochydd Hall. There are signs for C&MC and also C&CC but NO SIGN for "The Orchard". Drive up and through the small cluster of properties, then fork to the left for the CL. The pitches are hard standing levelled into the Slope but separated from the access drive by grass, ( as per illustrations.} Some further levelling ramps may still be preferred by some. Shower and toilet block fitted out to a high standard and is immaculate. 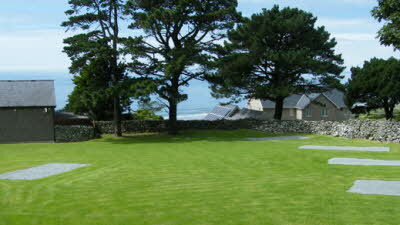 A sea view from your pitch out towards Abersoch across the bay is likely to provide beautiful sunsets. A short walk out to the road gate and a similar distance through a more developed site for "statics" brings you to the beach. Just spent a week on this CL and could not fault it. Views over the sea were fantastic and we were treated to several brilliant sun sets which brought out all the campers to watch. Site is easy to find and received a warm welcome. Access to the beach is great just keep an eye on the tides. Dog walk on site which is easily accessible. Norbar just a ten minute walk away is well recommended especially the fish and chips and the bacon and sausage cobs. In wet weather the site wasn't boggy. Barmouth and the walk across the railway bridge is good and a walk along the Mawddach trail is well worth it, just watch out for bikes! Would visit again if in the area.